When SLT (Sweet Little Things) opened its first shop at J Block, corner Apitong and Escario St. in the last quarter of 2011, more Cebuanos began growing curiosity for cupcakes. Who wouldn't? SLT Lemon Poppyseed. Photo from here. 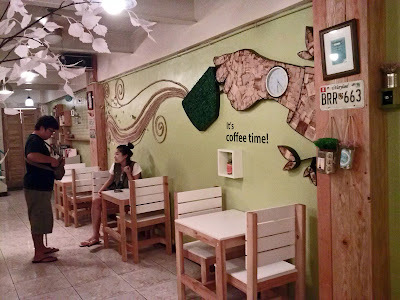 Usually, people go to this part of Cebu for Sprockets Coffee + Milk Tea Cafe (one cool restaurant) or go for a sumptuous lunch or dinner in Red House Taiwan Shabu Shabu. Oftentimes, while either waiting for the order to be served or even as soon as finishing a meal, impulse take customers into the tiny glass, see-through SLT shop. It sits right between the two bigger restaurants and from outside, you can already notice the shop attendant moving around, checking on the cupcakes display, or fixing the chairs and table arrangement. One can't help but walk in out of curiosity. As soon as you are inside the shop, you will notice their wide array of cupcake flavors labeled clearly for proper identification. Unlike the usual cupcakes we find in ordinary bakeshops, these on the other hand are very eye-catching. Some are adorned and topped with colorful frosting while others, in fact, have real fruit slices. Each cupcake is priced neatly at Php 58. The more you buy the higher the discounts go. A half a dozen (Php 298) in a "pasalubong" box will slash a few pesos from your total bill. The boxed delights make good Christmas presents for friends and loved ones. 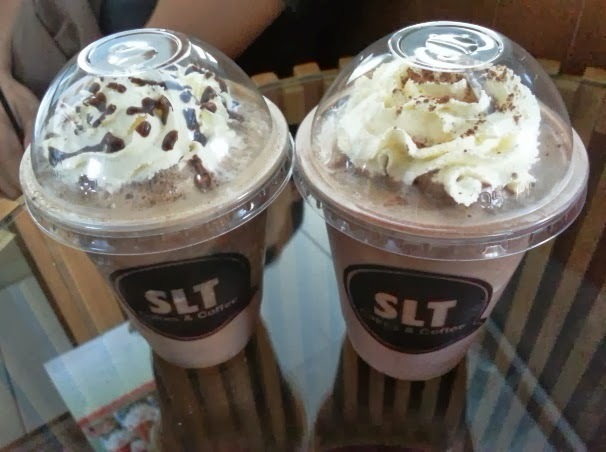 Just for today, however, I and a "laagholic" decided to skip the icing and go with the real cream topped cold coffee drinks. For a price between 100-150 pesos, you can already sip through the regular-sized, ice-blended java chip or chocolate cream coffee. Let that curiosity take you to SLT today. I have learned to unlove Larsian's after its grilled white marlin almost completely ruined my White Water Rafting experience in Cagayan de Oro due to severe diarrhea. Despite this personal decision, I still find my thoughts lingering from time to time on sweet thoughts of barbecue, grilled fish, siomai sa Tisa, and the experience of dining amidst noisy crowd, handpicking their food. I sometimes find myself feeling sour thinking how I could pass the craving just because of that one instance. .. But, hey, am I glad to find another food spot in Cebu that provides the same food experience! Pork Sticks. Photo from here. Tucked behind 7-Eleven in Don Mariano Cui St. Capitol Site of Cebu City is Yakski Barbecue. It is usually dark in this part of Cebu at night but Yakski is alive and alight. 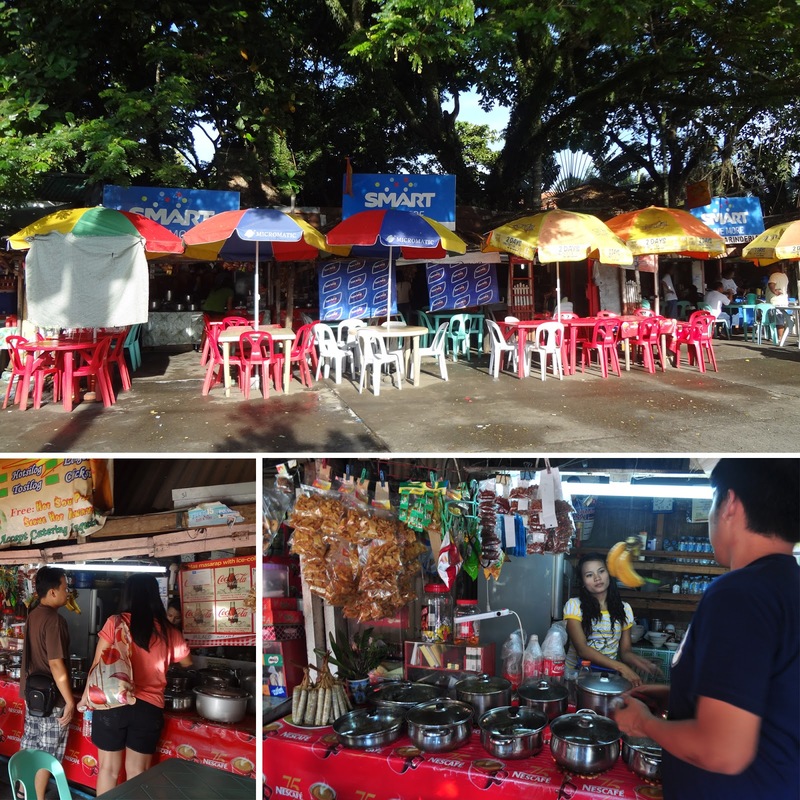 Prior to getting into the place, you would notice people loitering at nearby food stalls and convenience store. Get past the busy crowd and you will find Yakski. At their grilling station, you will find raw cutlets of marinated pork meat, chicken gizzard, chicken liver, and fish. Chicken leg slices in sticks look very appealing, displayed half-cooked, and showing lines of grill burns. The crew is hard to miss since they work in black uniforms with apron proudly glaring with DOT's slogan "it is more fun in the Philippines". One very outstanding attribute I will gladly give Yakski Barbecue is "affordability" and while its name sounds like "yucky", their food is in fact "yummy". They serve ice-cold beer and other products like home-made peanut butter. Topping all that is their nicely ventilated space that won't stick smoke stench in your clothes when you leave. See image gallery in their Facebook page and website. Adobo Rice, Like No Other! Here's what I go back to Gerry's Grill for. 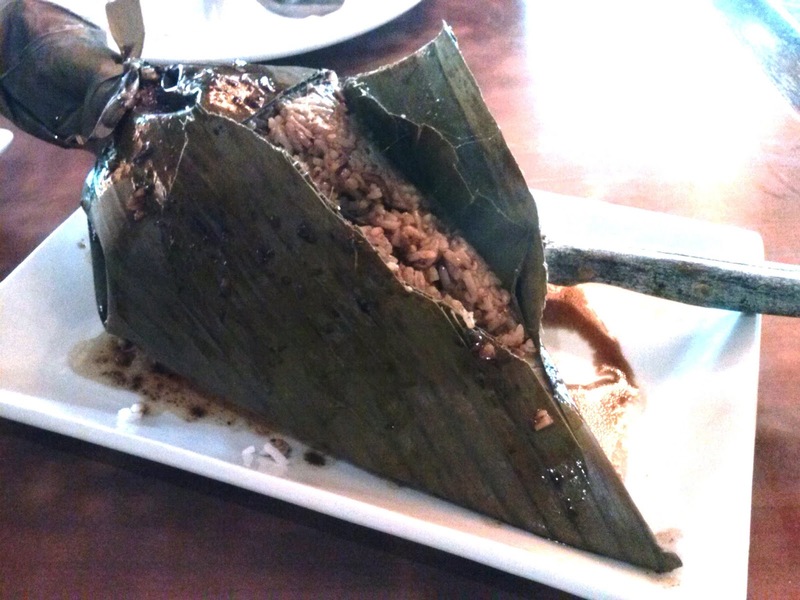 A complete rice meal wrapped in a banana leaf and shaped to look like the banana heart (blossom or puso ng saging). It is very Filipino and absolutely sumptuous. Small chunks of cooked pork adobo is mixed into the cooked rice to create that mouth-watering salty, sweet blend. The black pepper ingredient will definitely make you spoon the plate clean. 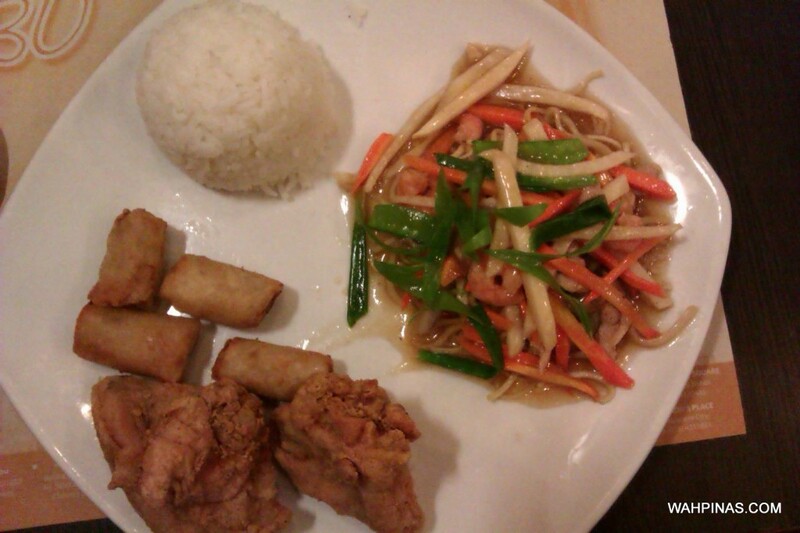 Good for sharing for two at Php 175.00. Dig in! Of the 3 days we stayed in Baler, I'd say the second was the most packed with the greatest adventures. We rose at around 7am for a breakfast meal at Bays View Inn. I have been talking a lot about pancakes at Bay's Inn the night before because I knew our female companion was into it. I was glad I kind of sold them the idea of ordering it banking only on a few beautiful photos I have seen in the internet. I wish I wasn't very reliant on visuals and read the details of the blog instead. I would have spared my self and my friends the obligation to finish the pancakes that morning. These pancakes are JUST okay. Nevertheless, we shrugged the negatives and took on the positives for the activities which were to come. Armed only with anticipation and a shooting lens, we headed off for Dimatubo Falls. From Sabang, it will take you to Brgy. Ditumabo via poblacion San Luis about 2 hours on a trike. The moment the drive leaves the highway, it is important to get yourself ready for the undeveloped road going to the waterfalls. There were times we volunteered to get off the tricycle and began walking for several meters forward especially when big rocks scattered on the roadway. Our weight was too much to keep the side car at considerable distance from the protruding rocks on the ground. It was a better option to walk rather than risking the tricycle for a permanent damage. Blisters on the foot tell much about how far one has traveled and how painfully difficult it was to arrive at a destination and back. I would have already given up whatever there was left in the itinerary that day if it happened to me but our staff worker knew bigger problems than blisters and walked in steady composure to finish the day's activity plan. Next stop --- Digisit Falls. 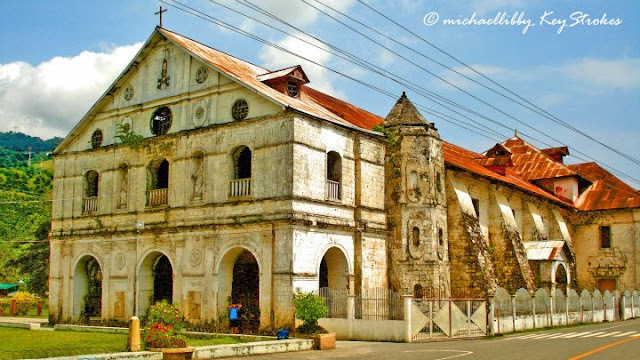 We were getting ready to get historical with Baler, however, our motorcycle driver was kind enough to make short stops at some other popular spots we passed along the highway to the town central. This is where we found waterfalls almost literally along the highway. Most waterfalls are usually remote and will require people to walk kilometer distances from the highway but this is one I find truly amazing. The waterfalls was not grand in terms of size and altitude, but it was extremely inviting especially because of the climate contrast from the scorching sun along the highway. The water is kept cold by of course the flowing water basin at the top and the shades provided by forest trees. The rocks provide the stairway up to the waterfalls. After a few snapshots, we went back to the highway. Just across, the Aniao Islets are already visible at plain sight jutting above sea level. The two islets seem to be a good vantage point for hawks and other fish-feeding birds when spotting targets. We didn't and couldn't spare time to walk along the shoreline to the foot of the islets due to time constraint, hence, we took photos instead. 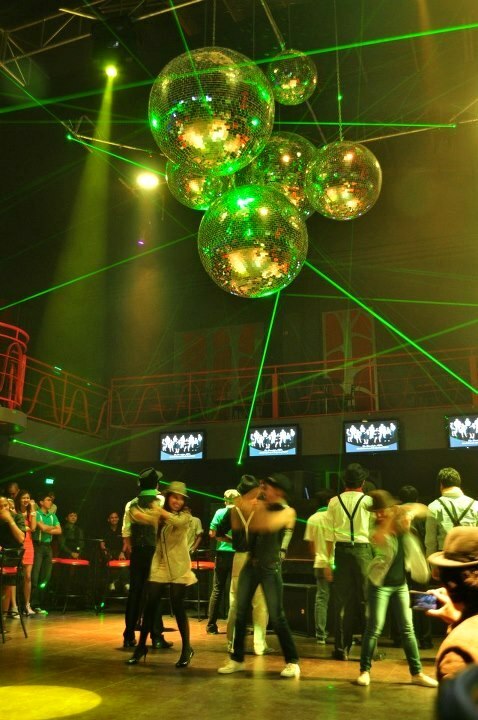 Picture taken in Amnezia a year ago during our company's Year-End Celebration. Baler Series: At Last, Eureka! When traveling takes you to places you never imagined going and makes you do extraordinary things -- that's "memorable". Six hours is a long trip but not too bad when in the comfort of JoyBus, a semi-luxurious bus operated by Genesis Transport Inc. At Php 700, you own the comfort of a reclining seat, a blanket, 2 biscuits (plain and flavored Rebisco) and a bottle of drinking water. 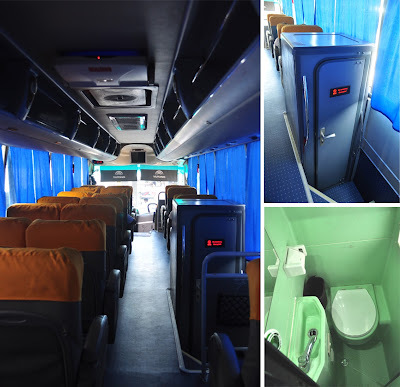 At pee time, everybody has access to the built-in restroom inside the bus. 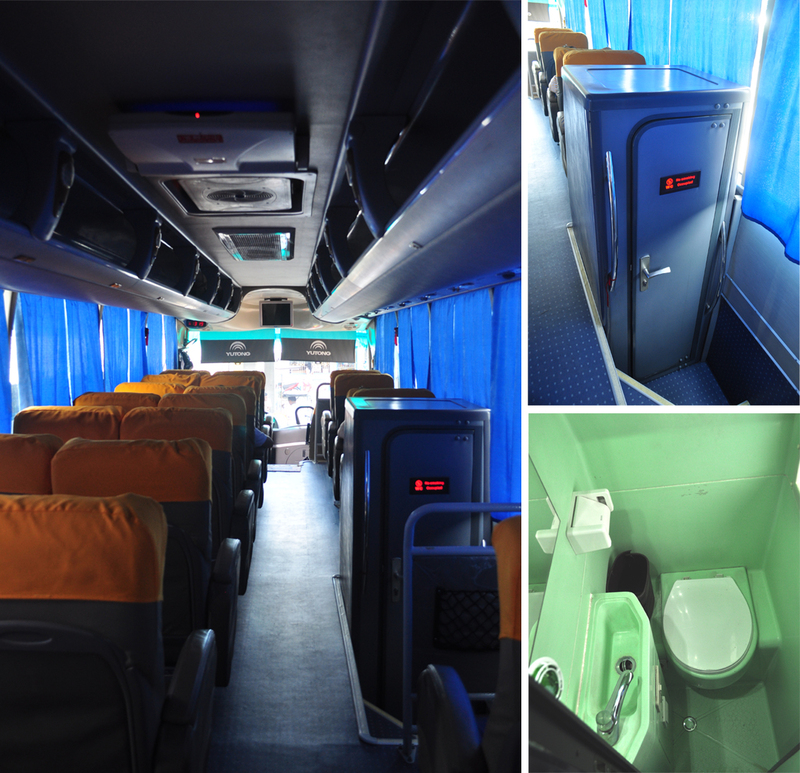 (Left) The reclining seats of the JoyBus (Top & Bottom) Restroom in the bus. I prefer doing long travels in the evening because I can always sleep the hours away until the arrival early in the morning. We left Cubao Terminal at 1:30am and arrived at Baler bus stop at around 7am on the same day. Bright daylight greeted us as soon as we stepped out of the bus. At a phone ring, our trike driver waved a hand and motioned us to get in the cab so he can take us to our homestay address. We arrived at KL Javers Hardware Store owned by Sir Vincent, a painter, a little past 7am. After waking the owner up, he engaged us to a little chat before we were ushered to our room. The room was worth Php 1000 a night, accommodates 4 persons, equipped with 2 twin-sized beds, a CRT cable TV, air-conditioning unit, and a shelf/cabinet. Two separate bathrooms, one per gender, are just a door away from our room. After quick tidying both of self and the room, we headed straight to the famous Baler Rolling Stores on our rented trike. (Left) KL Javers Homestay (Center) The door to the room (Right) The paintings of the owner. Portraits of their family. The rolling stores were said to have started as food carts wheeled by owners (to the spot where it is now) during lunch time until all food items are completely sold before they are tucked back to the vendors' respective homes. This was then the persisting routine until they were granted permanent occupation in the area. To this day, they are most visited by locals and tourists due to the affordability and variety of their dishes. 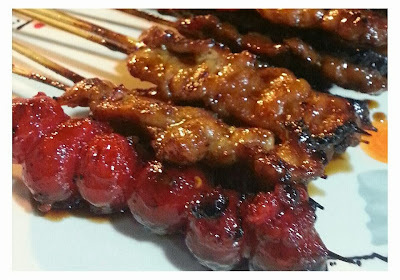 "Paksiw", pork cubes marinated with vinegar, soy sauce, garlic, and black pepper, is their most popular offering and oftentimes available in the afternoon. I settled for "tortang talong" and "ginataang isda" (fish paksiw in coconut milk) instead. Tortang talong was pop for me because it was grilled before mashed, mixed with egg and spices, then fried. The fish dish turned out a little too salty for me. 3. Baler Series: At Last, Eureka! Time flies so fast. Just a couple of weeks ago, I had the chance to travel up north to Central Luzon. I knew it was more than just obliging to a demanding bucket list. 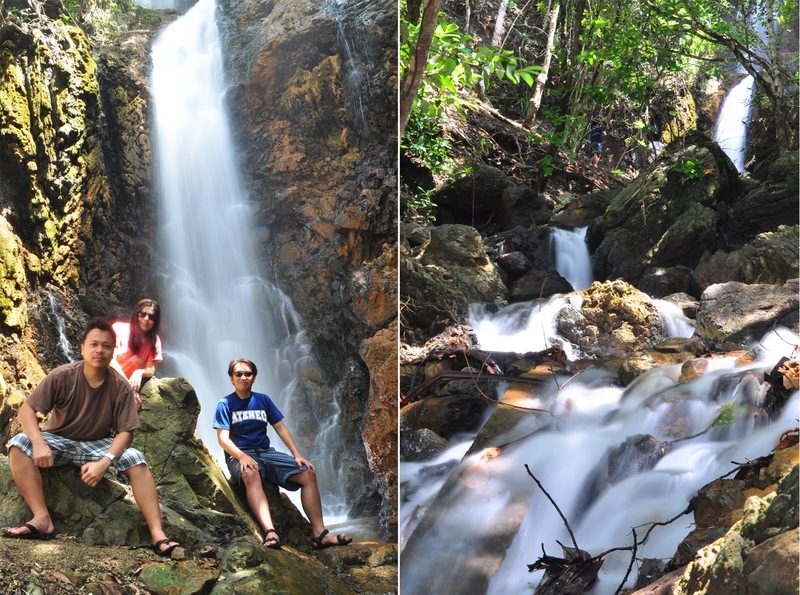 It turned out to be a blast of great Baler experiences, the kind I would find hard to forget. Here are the details I and a blogging friend put together for you. • I wanted my Lakbayan score to go up. • My friends have great pictures of them surf-riding Baler waves. I wanted one, too. • I knew that a movie was shot at the location (Baler, starred by Anne Curtis and Jericho Rosales). 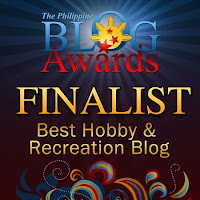 • Plus, a travel article mentioned that it can give me a good view of Sierra Madre, one mountain name I have almost gotten tired hearing back in my high school days. I thought it was time I get up close and personal with it. • Lastly, I am on a trip with my two original travel buddies. House of President Manuel L. Quezon and his wife, Aurora. [Bren] Those are actually not lame reasons Mike. In fact, you have enumerated most of Baler’s strongest points, except for the last one of course. For me though, it was primarily for surfing, or at least at the onset. 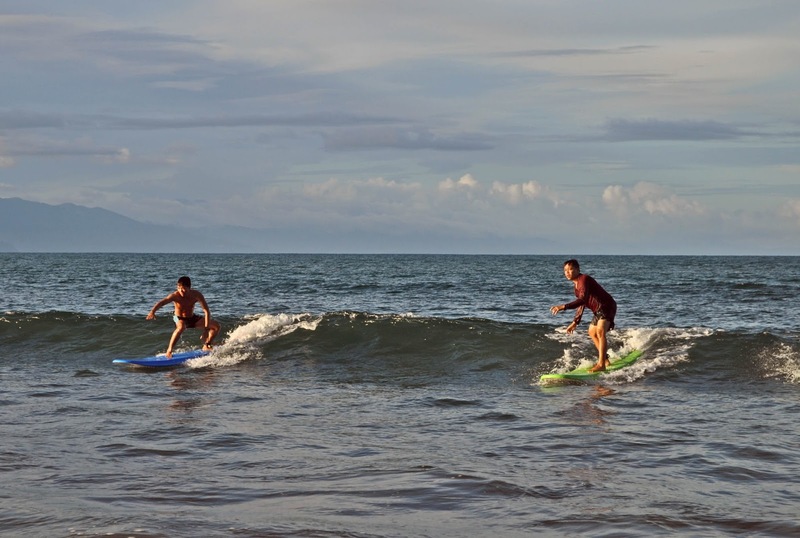 It is said that Sabang Beach is the ideal place for beginners to try out getting ‘stoked.’ The waves there are relatively manageable and its sandy seabed provides an excellent cushion especially during a wipeout. The Baler Church in the modern days. How do you get there, and how do you go around the town? 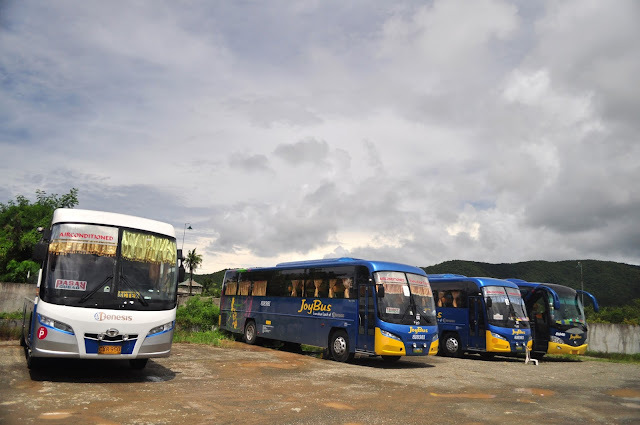 [Bren] For now, only Genesis Transport provides direct bus trips to Baler. Although their schedules are published online, it is advisable that you call their Cubao office (+632 709 0545 or +632 441 6834) just to be sure. It is also best that you book your tickets in advance, especially during summer and long holidays. The regular AC bus fare costs around Php 350. We rode however on a “Joy Bus,” Genesis’ non-stop executive sleeper bus line. For a few pesos more, you would have “lazy-boy” seats which means you can sleep more comfortably during the roughly 5 hour trip. You also have Wi-Fi, a stewardess, a morning kit, a blanket and an onboard restroom - all these conveniences for just Php 700. [Mike] Such is the case if you begin the trip from Manila. However, if you come from places near Cabanatuan City, you may opt to ride on their public utility vans or chance on a public bus (Genesis, 5Stars, etc.) that can take you to Baler for roughly between 200-250 pesos in 4 hours. Although batangbaler recommends the Canili-Pantabangan Route, I prefer Baler-Bongabon as per experience. Both routes have unforgiving winding roads and curbs, but I felt my stomach twist more on our way back through the former. Going around the town of Baler isn’t really expensive if you have no plaints about riding on a tricycle. They collect fares at 12-15 pesos depending on the distance. However, you can hire it for the entire day at the minimum of P500 (mandate from City Tourism Office). If the driver is kind as was the case of Kuya Bernard (09089802956) who took us everywhere we said we’ll go, you won’t have qualms giving an extra 300. • Sole busting trek to Dicasalarin Cove. • Root-climbing the Country’s Oldest Balete Tree. [Bren] Mike, I think you’ve covered pretty much the entire spectrum of Baler activities. Add to that checklist: participate with the locals in their early morning fishing tradition called pukot. [Bren] We stayed at KL Javers Homestay (contact Vincent Gonzales +63 908 341 8527) in Brgy. Suklayin. It is near the market and just a few minutes away from Sabang. 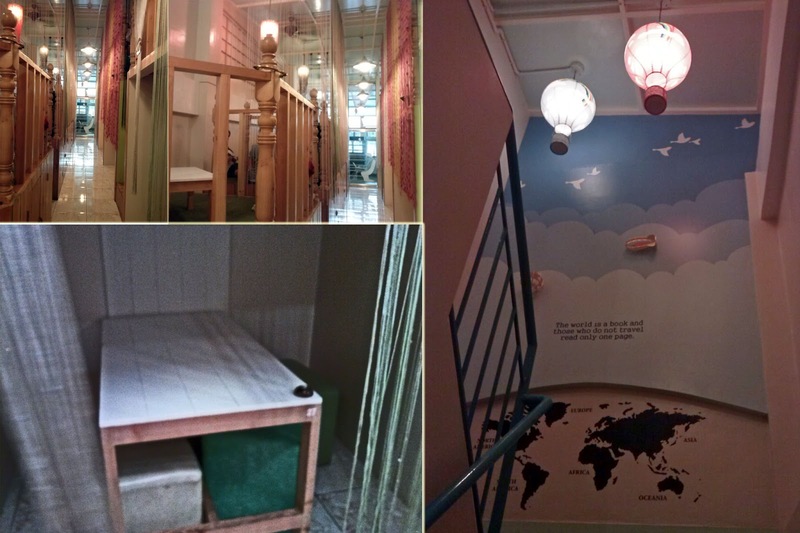 For a typical backpacker accommodation (i.e., shared bathrooms), their rooms are clean and their rates are very reasonable (Php 1200 for 3). There is also a gallery of some sort at the second floor where you could see some of Mr. Vincent’s artworks. But if you’d like an accommodation near the beach, there are a lot to choose from depending on your budget and preference. You may view some of the options here. [Mike] Bren, homestays are definitely fun when on tight budget and more fun when you are with people who’d play UNO using the tiny cards even late at night because it makes you forget that you ran out of water for bathing. 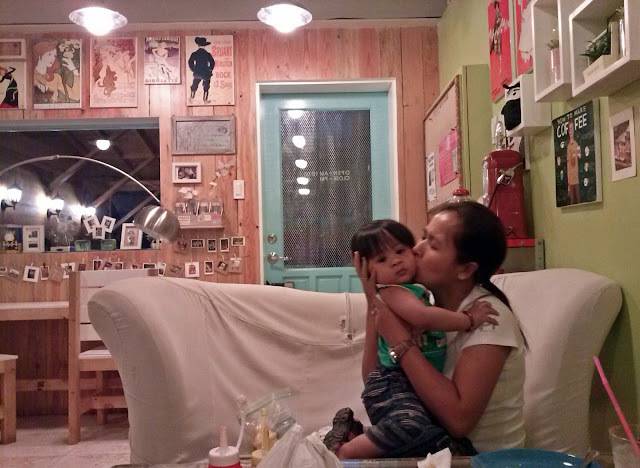 However, given the chance to be in Baler again with more “mulah”, I’d stay in Aliyah, and when richer, Bahia de Baler (wishful thinking me). Tortang Talong at the Rolling Stores. 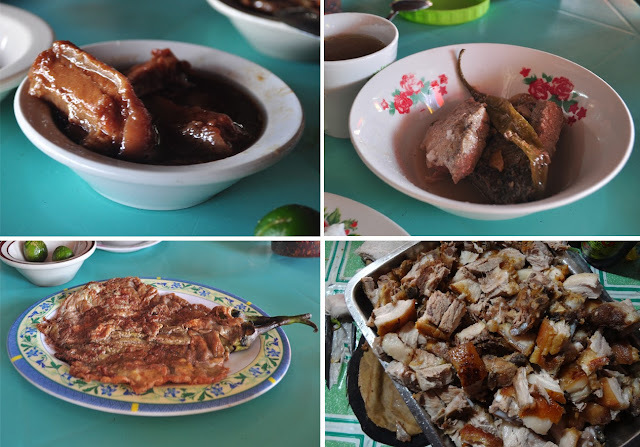 [Mike] Three food items I would certainly recommend in my 3 day stay in Baler. Fried Garlic Chicken at Bay's Inn. Vegetarian's Pizza at Bay's Inn. • Anything being offered at Baler Surfer Grill. We had grilled pork chops with a sizeable portion of rice (Php 60.00). It is the typical ‘surfer’ meal - filling and affordable. But wait, there’s more. It came with caramelized onions and mushrooms. This gourmet touch just made me smile, more than the fact that it was actually grilled on a charming red Beetle. • Ensaladang Pako – Fiddlehead Fern Salad tossed with salted eggs, tomatoes, red onions and a drizzle of bagoong (fermented fish sauce). Get it at Bay’s Inn or go unlimited at Gerry Shan’s Buffet. • Sinantol – finely chopped santol meat and cooked in coconut milk. This is my first time to come across this appetizer at LVB Fastfood, one of the food stalls inside the Baler public market. • Find Charlie’s Point. Locally known as “kagewad,” this is said to be the spot where one of the famous battle scenes of Apocalypse Now, Francis Ford Coppola’s classic, was filmed. And yes, that movie is now on my bucketlist, along with that Anne Curtis-Jericho Rosales starrer. 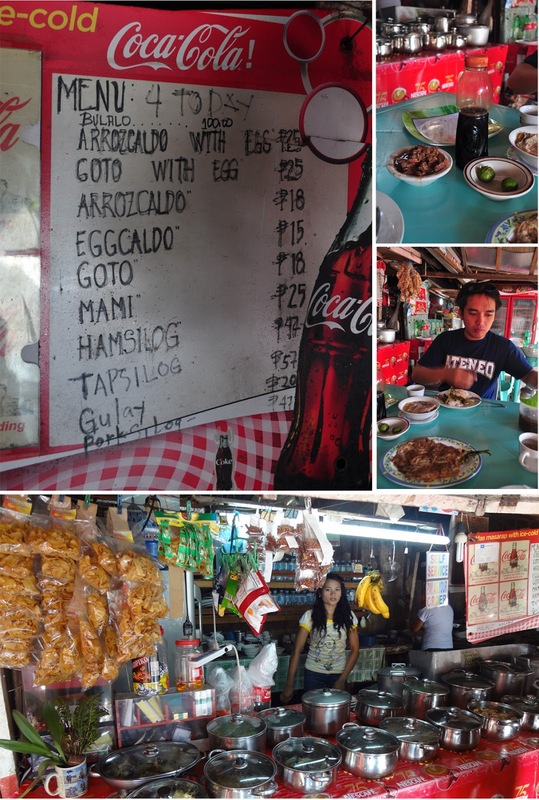 • Squeeze Casiguran or even Dilasag, the two northernmost municipalities in the province of Aurora, in the itinerary. These are off-the-beaten destinations and I could only imagine how the ‘super secret beach cove’ that a friend has been to, look like. • I won’t go back to Dicasalarin Cove on foot. • I’ll surf again minus the trainer. • I won’t offer you and Ate Lala Bay’s Inn’s pancakes. • I’ll let you hang-out with my camera for longer hours but not my lens cover. • We will stop at the spot where part of Nueva Vizcaya intercepted the Canili-Pantabangan route. [Mike] For a range of 1-10, with the latter being the highest, I am giving it a remarkable 7. [Bren] It’s also a 7 for me. 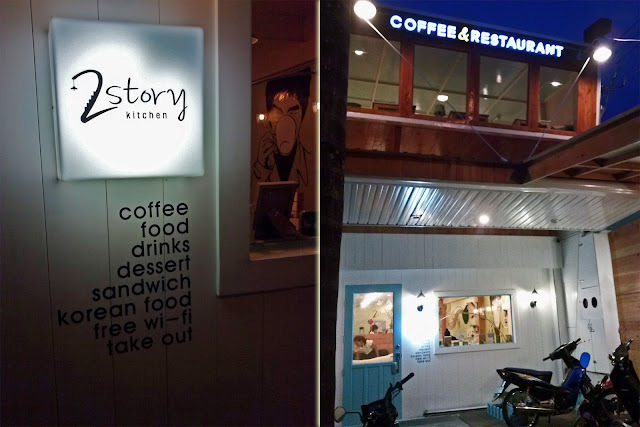 Formerly Noriter, now 2 Story Kitchen, this coffee bar and restaurant seems to be unrelenting when it comes to persisting to survive and succeed. A few months ago, while driving along Sta. Catalina St., I noticed that AVON office was already closed, however, its adjacent space looked like there were construction works going on. It was interesting because the once plain concrete walls of the building are now accentuated with wooden elements. Just last week, I had the chance to pass by the area again and this time, it looked like the construction was complete. I shrugged the fact that just across it, Noriter, once flocked by customers, was already closed. It was disappointing but we were getting used to shops opening then calling it quits a year or two after. I, my sister, and my nephew decided to walk into the new shop and something struck me too familiar, too quickly. She couldn't be a twin, so I asked, "Weren't you the cashier of Noriter?" which she answered, "Yes". It was also then that I realized that the old location was shut because the owner had other plans for the building. I tried seeking for information about the re-branding but she knew too little about it. She did, however, share that the owner of the restaurant is Korean and is also the person behind the artistic interior design. You can't help but notice the owners fondness of collecting artifacts from very old posters and drawings to interesting toys. All play the part of adding to the warm but playful ambiance. The mint green color kind of pulls the childish mood in you. When we were about to order, the cashier cut our thoughts by offering that we go up to the 2nd floor to find a spot and then decide what items to buy. We understood her insistence to usher us upstairs because the store indeed had something more to showcase. 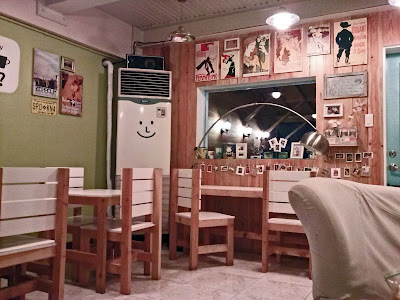 Colorful string curtains hung to hide the cozy wooden cubicles which served as students and friends' effective hangout. Some cubes have tables in the center equipped with a buzzer to get waitresses' attention when making an order. Beyond the 2nd story enclosure, is a veranda designed for smoking customers. We didn't stay long upstairs because our 1 year old companion loiters just about everywhere, including the stairs. Food was surprisingly good too. I couldn't get over their avocado shake that was not only affordable but done with the right sweetness and consistency. My sister ordered a winter melon shake and we shared the vegetarian pizza (P170) and American style burger (P155) which came with a handful of french fries. I think I may have gobbled the food too fast that I regret not having taken a picture of it before it completely disappeared from the plate. Is it worth a repeat? Definitely! I don't normally stray from just my Gmail and Blogger account when it comes to patronizing Google. Just recently, however, when the need to temporarily store huge amount of electronic files in the internet arose, I Googled. Naturally, it took me to Google Drive. Just in case you come across the same need to make large documents accessible anywhere in the world even without having to bring your laptop or other portable storage devices all the time, try uploading it to Google drive. I feel very silly to even write here very simple steps to get started, but, here they are anyway. (2) a Google (etc. Gmail) account. Uploading a document (e.g. a CV, photos). 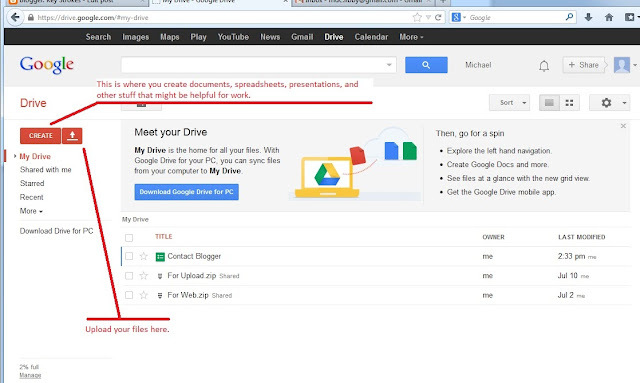 (1) Go straight to Google Drive. (2) Log in using the same Google credentials you use for your Gmail or Blogger account. (3) Click the "up arrow" icon on the left side, next to [Create]. (4) Select the file to upload. It is just that easy. Now, you can get hold of your file anytime and anywhere in the world without carrying your hard drives with you every single time. Other features available include options to restrict or permit downloads by colleagues and friends, say an album of photographs, a work presentation, or any other documents you intend to save for use anytime. - Allows even non-Google friends to download shared files. Just change the restriction. - It is an online Virtual Storage. Open important files anywhere in the world without having to get it from you personal hard drive. c.) create simple and/or transactional forms for an online page, and many more..
- Has file security and/or privacy options. - Easy share to multiple friends. - Faster than email attachments. Honestly, I don't know why I am even writing this for Google. I just found it very convenient to have this type of free service online. Now I do not have to bother bringing laptops and transferring files from PC to USB or hard drives everytime I need to have something printed or even when emailing photo attachments to friends. I can simply send them a link and they can download the entire album from there. Note: Tell me how Google Drive has helped you also. Leave us a note to read on. When hunger strikes me, I forget all other cares and my mind is focused to just one purpose. Find the right food at the right place, the quickest way. Marching hastily through frustration, I made my way to Ayala Terraces undisturbed. I was hungry and mentally complaining. Prior this, I walked to my bank from work sacrificing lunch so I can get to the bank while early and less crowded. To my dismay, as soon as I walked in, the huge "Offline" signs at the tellers' desk glared at me. Frustrated, I decided to hop to another bank for another transaction that was supposed to come second after the first to avoid going in circles. Luckily, my bank transaction there was swift as wind. Now, my stomach was making strange sounds. I knew I had to feed the minions (thinking of the trending Despicable Me characters) inside. A quick meal was certainly the answer I need for this physiological demand. That answer I found in Sunburst. Sunburst originated in Iligan City and was formerly named A & C Chicken and Pizza House (1). It gained fame and quickly spread to over 10 branches nationwide in 2010 and probably doubled its number 3 years after. 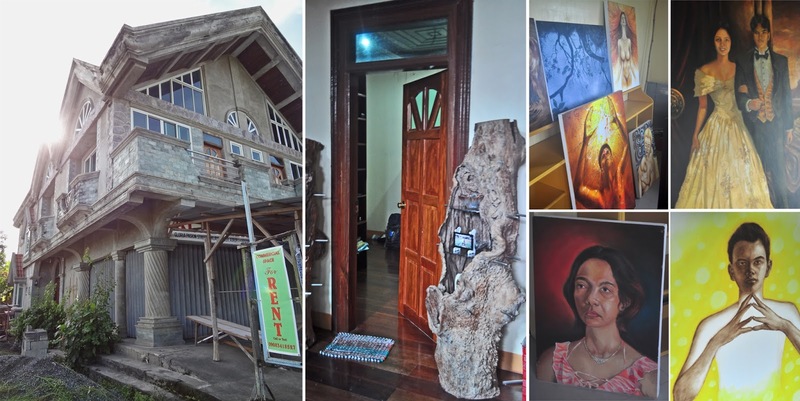 Five of its locations I spotted in Cebu which kind of made Sunburst and Cebu tightly associated. My friends in Manila always remember Cebu through their Sunburst experience. 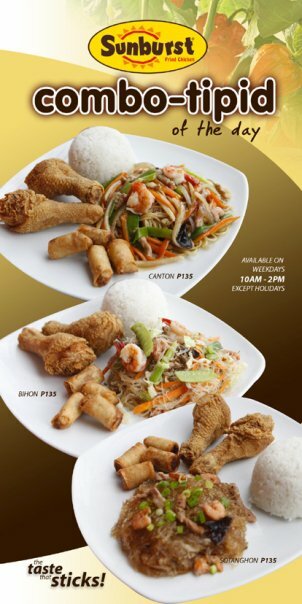 Sunburst fried chicken definitely sets itself apart from Jollibee, KFC, or McDonalds in terms of fried chicken. Their cooking does not include the batter that usually does the trick of making the parts look huge and puffy. Still, the chicken skin crackles at every bite. This they pride themselves of to the point that they decided to include a plate of crispy chicken skin in their menu. See more items on the menu here. This visit, however, highlights their Combo Meals that are usually the fastest-served order between 10AM to 2PM daily. What's the price? All for P135. Sometimes all you need is a quickie. And wow, aren't quickies delicious! Some moments just shouldn't slip past us without leaving anything of which to remember it by. Thanks to the discovery of photography that allows us to capture good memories in still imagery. 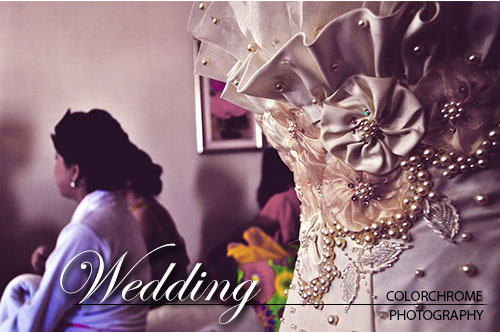 ColorChrome is one of the emerging groups in Cebu that offers photography services for occasions such as weddings, birthdays, and any other arranged photo shoots. The team, a crew of six photographers, are hobbyists who value the need to record special moments of fun, elegance, and significance into souvenirs of a great experience. - High resolution JPEG copies of all pictures (raw and edited) taken during the event in a DVD. * For every additional hour, a reasonable amount of 1500 Php is charged. ** Price for this service does not include any rental or electricity charges imposed by the establishment. It should be shouldered by client.